Use decomposition of rectilinear figures and addition of the areas of the decomposed figures in the context of solving real world and mathematical problems. Lesson Objective: The lesson is aligned to the Common Core State Standards for Mathematics – 3.MD.7d Geometric Measurement – Recognize area as additive. Kathy wants to install new carpet in her living room. 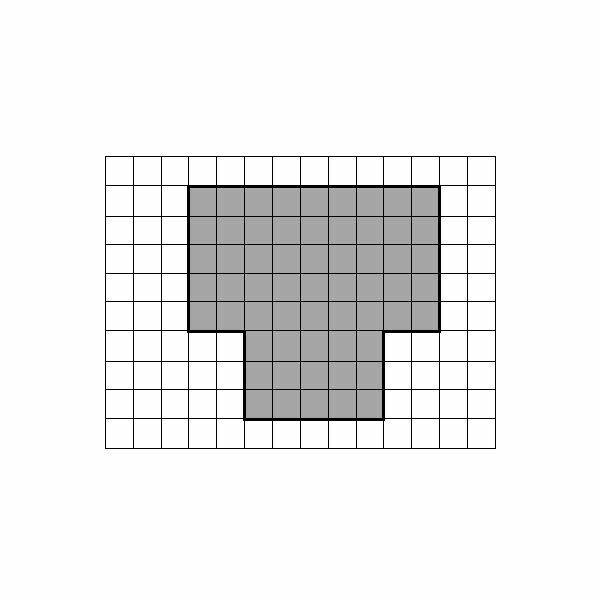 The drawing on the grid below represents the shape of her living room. 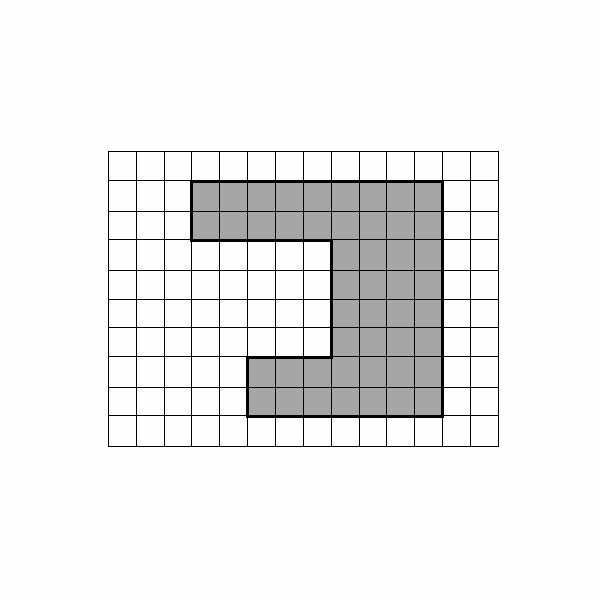 The length of each side of the squares on the grid measures one foot. What is the total area of Kathy’s living room? 1. Decompose the drawing of the living room into two rectangles. 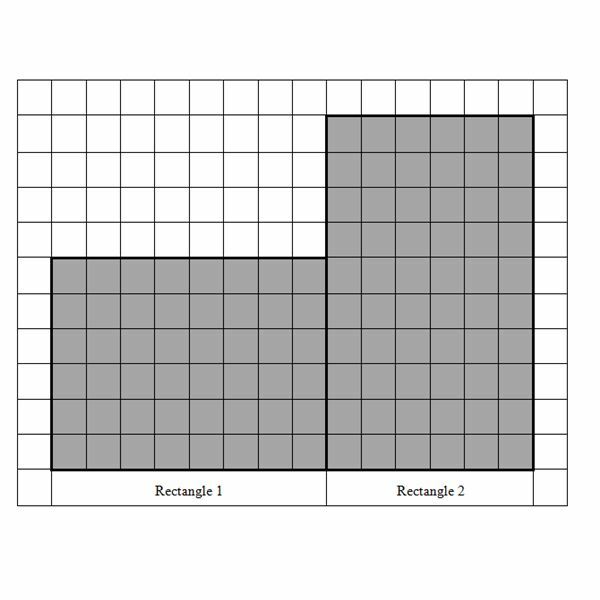 Label the rectangles, Rectangle 1 and Rectangle 2. 2. What is the length of the sides of Rectangle 1? 3. What is the length of the sides of Rectangle 2? 4. What is the area of Rectangle 1? 5. What is the area of Rectangle 2? 6. To find the area of Kathy’s living room, add the areas of Rectangle 1 and Rectangle 2. 7. What is the area of Kathy’s living room in square feet? Look at the drawings shown on the grid below to help you solve the problems. The length of each side of the squares on the grid measures one foot. To find the total areas, decompose the drawings into rectangles. 1. 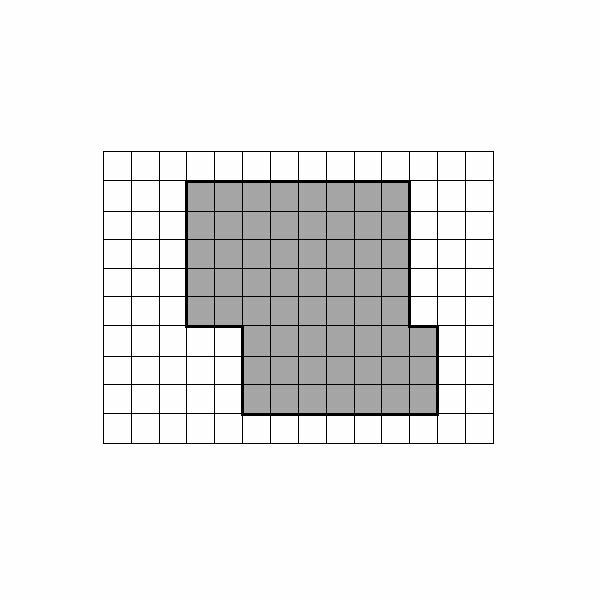 Find the area of the shaded area on the grid shown below. 2. 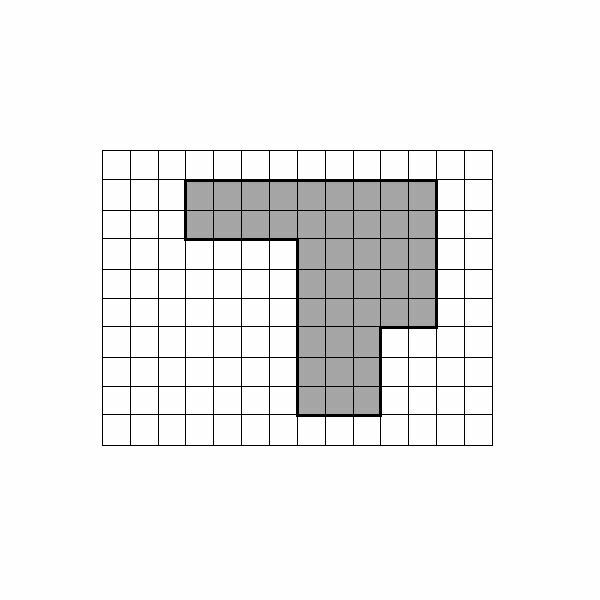 Find the area of the shaded area on the grid shown below. 3. Rhys wants to plant a garden. 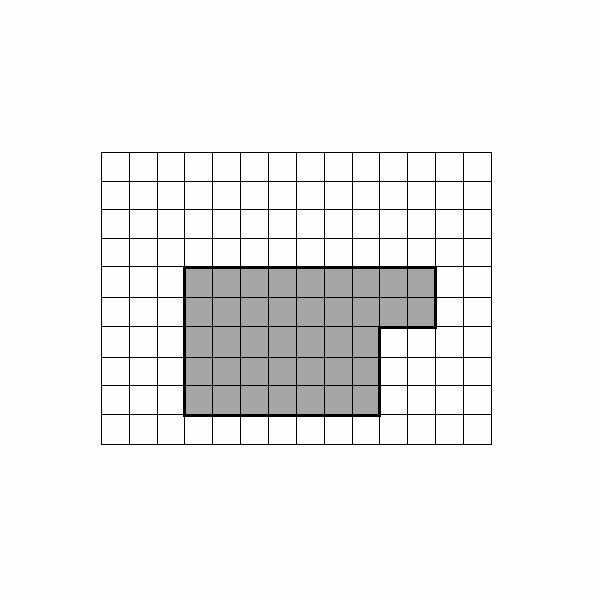 The drawing on the grid below represents the shape of the garden he wants to plant. What is the total area of the garden Rhys wants to plant? 4. Jack wants to build a patio in his back yard. The drawing on the grid below represents the shape of the patio he wants to build. What is the total area of the patio Jack wants to build? 5. Jasper wants to build a sidewalk around his patio. The drawing on the grid below represents the shape of the sidewalk he wants to build. What is the total area of the sidewalk Jasper wants to build?